Biologists at Johns Hopkins University grew human retinas from scratch to determine how cells that allow people to see in color are made. The work, set for publication in the journal Science, lays the foundation to develop therapies for eye diseases such as color blindness and macular degeneration. It also establishes lab-created "organoids" as a model to study human development on a cellular level. "Everything we examine looks like a normal developing eye, just growing in a dish," said Robert Johnston, a developmental biologist at Johns Hopkins. "You have a model system that you can manipulate without studying humans directly." Johnston's lab explores how a cell's fate is determined—or what happens in the womb to turn a developing cell into a specific type of cell, an aspect of human biology that is largely unknown. Here, he and his team focused on the cells that allow people to see blue, red and green—the three cone photoreceptors in the human eye. While most vision research is done on mice and fish, neither of those species has the dynamic daytime and color vision of humans. 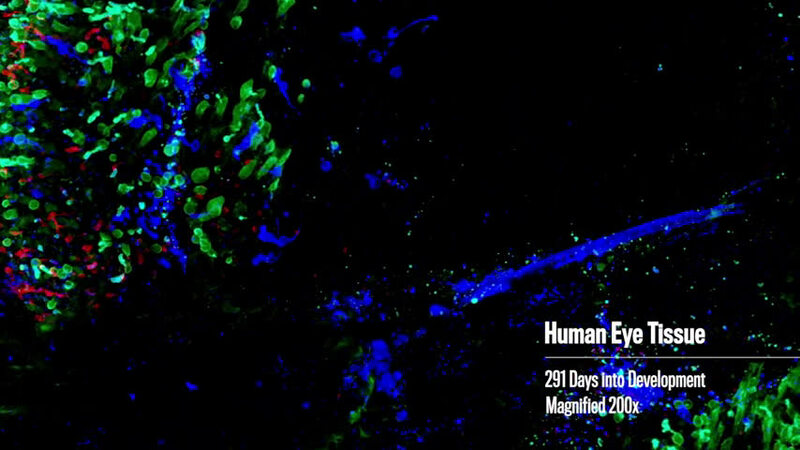 So Johnston's team created the human eyes they needed—with stem cells. "Trichromatic color vision delineates us from most other mammals," said lead author Kiara Eldred, a Johns Hopkins graduate student. "Our research is really trying to figure out what pathways these cells take to give us that special color vision." Over months, as the cells grew in the lab and became full-blown retinas, the team found the blue-detecting cells materialized first, followed by the red- and green-detecting ones. In both cases, they found the key to the molecular switch was the ebb and flow of thyroid hormone. Importantly, the level of this hormone wasn't controlled by the thyroid gland, which of course isn't in the dish, but entirely by the eye itself. Understanding how the amount of thyroid hormone dictated whether the cells became blue or red and green, the team was able to manipulate the outcome, creating retinas that if they were part of a complete human eye, would only see blue, and ones that could only see green and red. "If we can answer what leads a cell to its terminal fate, we are closer to being able to restore color vision for people who have damaged photoreceptors," Eldred said. "This is a really beautiful question, both visually and intellectually—what is it that allows us to see color?" These findings are a first step for the lab. In the future they would like to use organoids to learn even more about color vision and the mechanisms involved in the creation of other regions of the retina, such as the macula. Since macular degeneration is one of the leading causes of blindness in people, understanding how to grow a new macula could lead to clinical treatments. 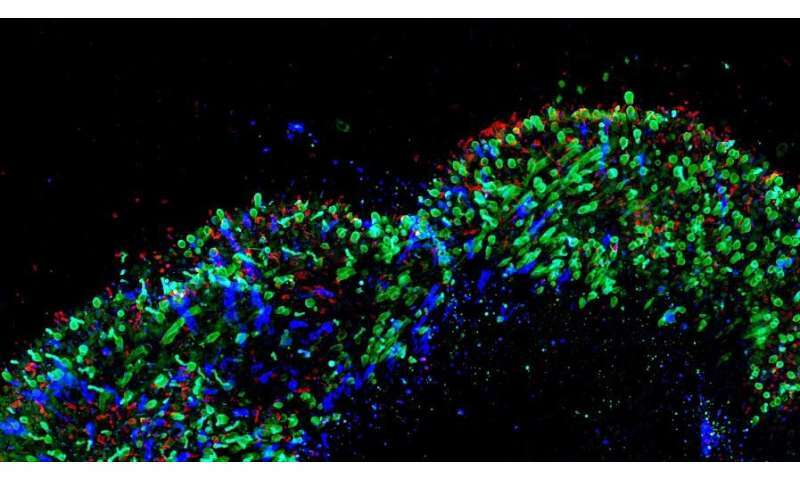 "What's exciting about this is our work establishes human organoids as a model system to study mechanisms of human development," Johnston said. "What's really pushing the limit here is that these organoids take nine months to develop just like a human baby. So what we're really studying is fetal development." i wonder how being in a dish & not being in a living, breathing human with a brain effects the development of organoids.